People who are already in business or are in a supervisory, managerial position running a business/organisation for somebody else should be at the top of your list to show the Oriflame business to. They may already be ambitious, entrepreneurial, team builders, customer driven. However at some point in their lives they maybe tired of all the problems a conventional business brings or they maybe fed up of running a business for somebody else and not seeing the benefits. Our job, as always, is to present an alternative to them. How? Target marketing is the answer. The problem of getting a flyer, brochure etc. 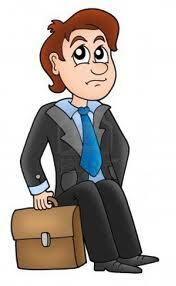 to “The Manager” is normally he/she would have a secretary or somebody else who sifts initial calls or visitors. The solution is very simple – what ever you are sending (asks your sponsor for examples) always place in an envelope and type on the front “FAO The Manager - In Strictest Confidence”. This will guarantee the literature getting to the right person without anybody else seeing it first. A junior member of staff would never dare to open an In Confidence letter. Top Tip: Always have a supply of letters with you were ever you go. For example shopping trips to the city – every shop you go in leave the envelope with person at the till and say “Can you pass this onto the Manager”. They presume it is a job application or a bill payment and always respond “Yes – no problem”. You have now got access to the shop manager with no effort – you were out shopping anyway!! You can incorporate this simple way of focused marketing into your day to day activities with no additional time needed to be found.